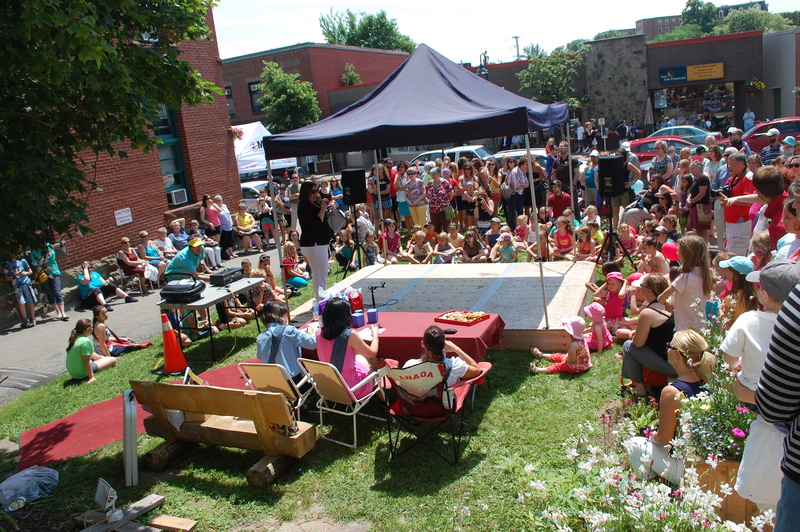 ANTIGONISH: A RENAISSANCE IN OUR DOWNTOWN! Last night, October 22, was a special night in town for the business community. The Antigonish Chamber of Commerce held its Business Gala and Awards night. There was a full house at St. Ninian’s Place where we were served an excellent meal catered by the Maritime Inn. Aphrodite had a table for eight with Minoli Amit, John Hamilton, Anne Thaler, Irene Szabla and Rob Christie who run the Pictou Outlet store, founding staff member Mary Connolly, new staff member Marie Rooyakers and me. The MC for the evening was Brian MacLeod who didn’t fail us with his humour. What struck me most during the night was the level of excellence in downtown businesses that was reflected in the event and augmented by the award nominees. When I first arrived in Antigonish in 1997 as the founding Director of the StFX Enterprise Development Centre (XEDC) the state of Main Street was a very different story. There were multiple empty storefronts and many of the structures were in a sad state of ill repair. Antigonish appeared to be yet another small town in demise. As I settled into my position at the XEDC I heard multiple stories of poor customer service in the town and experienced them myself. There were some stalwart businesses that we loved and still do – The $5 to a Dollar, the Sunflower Health Food Store – but many other businesses came and went – mostly went. Today, we have one of the most vibrant downtown cores anywhere. Almost all of the storefronts are occupied by independently owned and operated businesses that reflect the imagination of their owners. Five of those businesses were nominated for the Emerging Business Award sponsored by the RBC Royal Bank. It occurred to me that most of those enterprises opened in the last four years and when I started counting I realized that more than a dozen downtown businesses got started in that time span. The winning emerging business was the Townhouse Brewpub and Eatery- an original concept delivered to an always delighted clientele by entrepreneurs Rose Murphy and Terry Piercey. They had some tough competition against the Brownstone Café, The Waffle Bus and Computable Computer Solutions. Aphrodite was also nominated. Then a whopping twelve employees/business owners were nominated for the Outstanding Customer Service Award sponsored by the Bergengren Credit Union. Tim McGrath of Tim’s Service Centre walked away with that one. How the times have changed! Today Antigonish has the best customer service anywhere! The new businesses have undoubtedly raised the bar. It would be interesting to see a study comparing Antigonish to other small towns in terms of independently owned small business. I believe we would rank up there as a phenomenon in a world where so many towns and cities are overtaken by the behemoths that dominate our retail industries. Instead, our downtown is made up of local individuals who have chosen to take a risk and express their own brand of creativity be it a restaurant, retail store or service. And we have among us innovators in the health care field such as the Medi Plex – Antigonish Medical Associates Inc. and a large number of independently owned insurance brokerages with their headquarters here. We have many organizations to praise for their hard work and dedication to their community. The volunteers of the Downtown Beautification Committee have worked tirelessly for more than a decade to augment our town with flowers and plants throughout the year – going on to win the national Communities in Bloom Award. 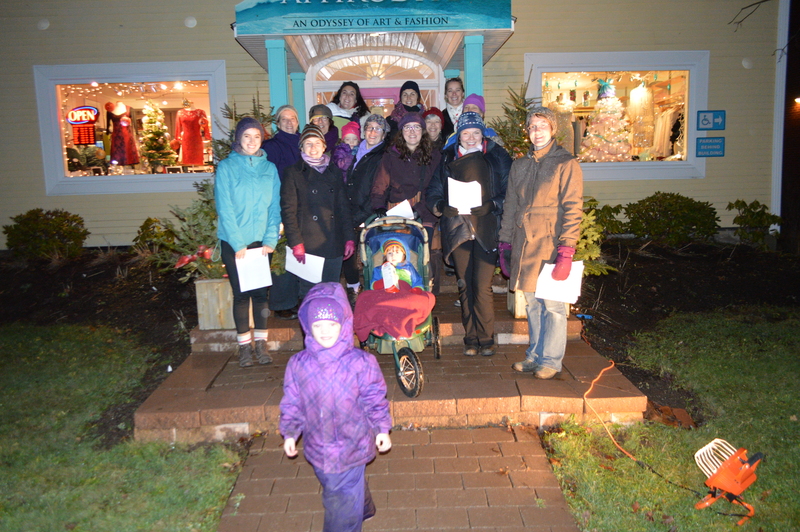 See http://www.communitiesinbloom.ca/town-of-antigonish-nova-scotia/ The Chamber of Commerce and the Downtown Business Association have also brought some structure to our planning, advocacy and event organization. There is a real business renaissance going on here in our downtown. Now as citizens we just need to ensure that we give our support to our downtown in order to keep it alive and healthy by shopping local. We also need to encourage our municipal town leaders to be more diligent with snow removal and to maybe even rustle up an employee who would advocate on behalf of the town in provincial tourism websites. Most small towns have a promotions manager and it would be great if we had one too. It’s never wise or safe to rest on our laurels but let’s just take this occasion to be reflect and be proud of how far we have come. You better get warm baby, because it’s only going to get colder. Aphrodite has a beautiful new selection of coats and sweater coats for the season. Emmy Alcorn and Laura Donnachie are giving you a little taste of what you can find this season. Have a look…..
We have some great pieces from Penny Black, Set, Junge and and Furlux. Our sweater coats and capes are from Sarah Pacini, V. Fraas, Eve Gravel and Nisse. Come and test drive one soon!